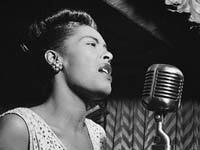 Billie Holiday was an American jazz singer and songwriter. She was born to and Clarence Holiday and Sadie Fagan in Pennsylvania in 1915. Christened “Lady Day” by her friend Lester Young, she was a seminal influence on pop and jazz music. Above all, she was admired by many for her personality as well as intimate approach to singing. Billie Holiday had vocal limitations. However, these limitations did not hold her back. She reconstructed a number of popular songs through streamlining the original tunes and adorning them with her intonations and improvisations. Billie Holiday was a true jazz musician since she regularly invented, re-created, and improvised in her musical performances. Holiday grew in Baltimore causing many people to believe that she was born there. Her father abandoned the family when she was young and refused to acknowledge her until after her success. Her mother moved to New York at some point leaving her under the custody of her relatives who mistreated her. At the age of 10, she was sent to the reformatory for bad behavior and therefore never received an education. As a teenager, she moved to New York to re-unite with her mother. At this point, Holiday started singing in jazz clubs in New York City, earning herself repute as the young talented American jazz singer. Holiday’s career took off in 1933, when producer and writer John Hammond discovered her singing at Monette’s club in New York. Hammond organized 3 recording sessions with Bennie Goodman for Billie Holiday and started booking engagements for her in clubs all over New York City. Holiday first appeared in Apollo Theatre in 1934. In 1935, John Hammond regularly brought her into the studio to record her singing with some of the best jazz musicians of that time. Holiday’s fame with the audience came slowly. She joined Count Basie in 1937 and Artie Shaw in 1938. In 1939, she started an engagement with Cafe Society, an interracial nightclub in Greenwich Village. It was around that time that she recorded her popular song about the lynching of the blacks called “Strange Fruit.” Holiday’s performance of this song was said to be so disheartening that it remained in her repertoire for the rest of her music career. Owing to its controversial subject matter, her producers refused to record it. But Milt Gabler recorded it. In 1944, Milt Gabler signed Holiday to Decca Records, with whom she recorded various hit songs, comprising of “I Love You Porgy,” “Lover Man” and many others. However, at the height of her career, she started using hard drugs, like opium and cocaine, in addition to constantly consuming alcohol. She was detained in 1947, but after less than one year in prison she came back to the music world. Her comeback faltered since her addiction tightened its hold, and she was involved in abusive relationships. While Holiday continued to perform, she was regularly swindled out of her income. In May, 1959, she was taken to the hospital after collapsing. She died in 1959 of liver cirrhosis.